CHICAGO (WLS) -- Chicago Police Supt. 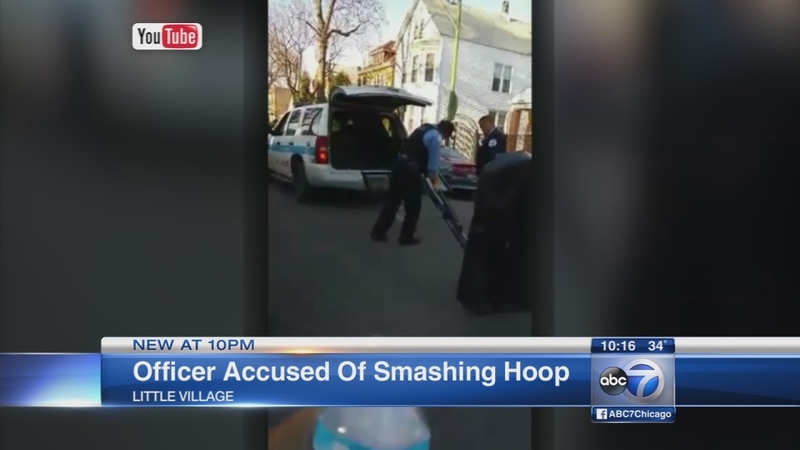 Garry McCarthy is speaking out after an officer was recorded breaking a basketball hoop in the Little Village neighborhood. The hoop's owner says they have been playing for years and always put it away when cops ask. McCarthy was at a basketball tournament Saturday night meant to build relationships between the community and police. "It's one of the biggest community complaints that we get, so we have to respond to those," McCarthy said. "He didn't do it properly in my book." The officer in the case is under investigation, but has not been suspended.